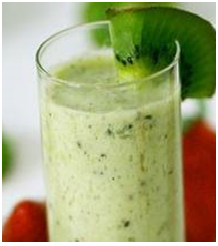 This healthy beverage made of zucchini, apple, kiwi fruit, and coconut water is so delicious and will also help you shed some weight because it has good amount of dietary fiber. 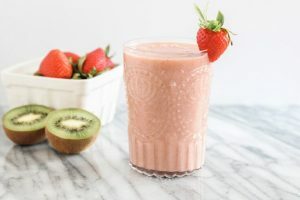 This delicious and nutrient loaded smoothie recipe with tofu, banana, kiwi, and soy milk is the perfect recipe for you if you need a quick breakfast or snack. You gotta love this amazing combination between two fruits that have a high content of vitamins and antioxidants. What you get is a drink that will boost your immune system to its highest, while being a real treat.